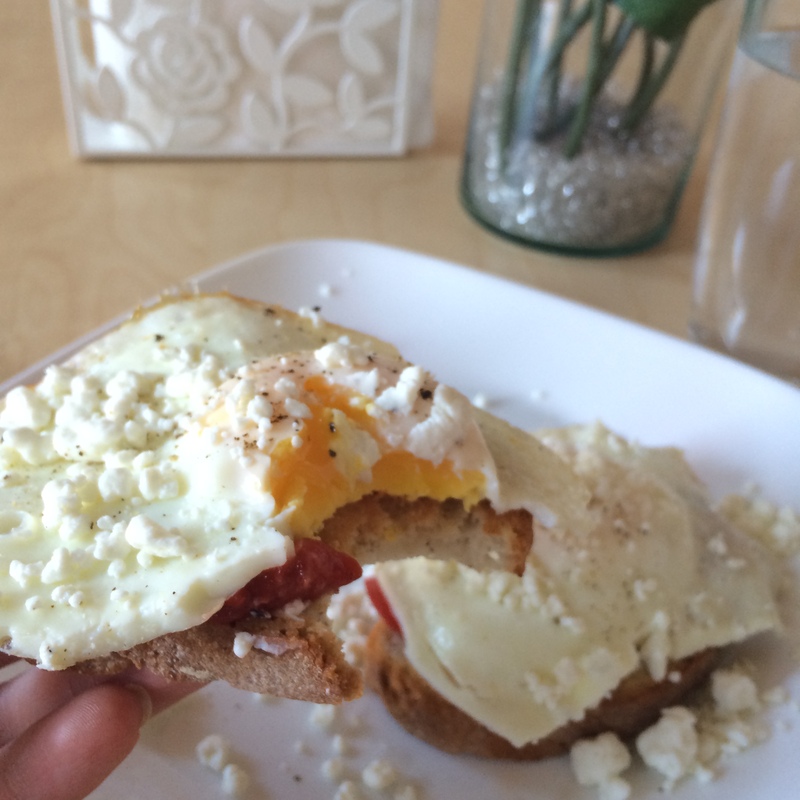 A good morning is often made great with a delicious breakfast sandwich. 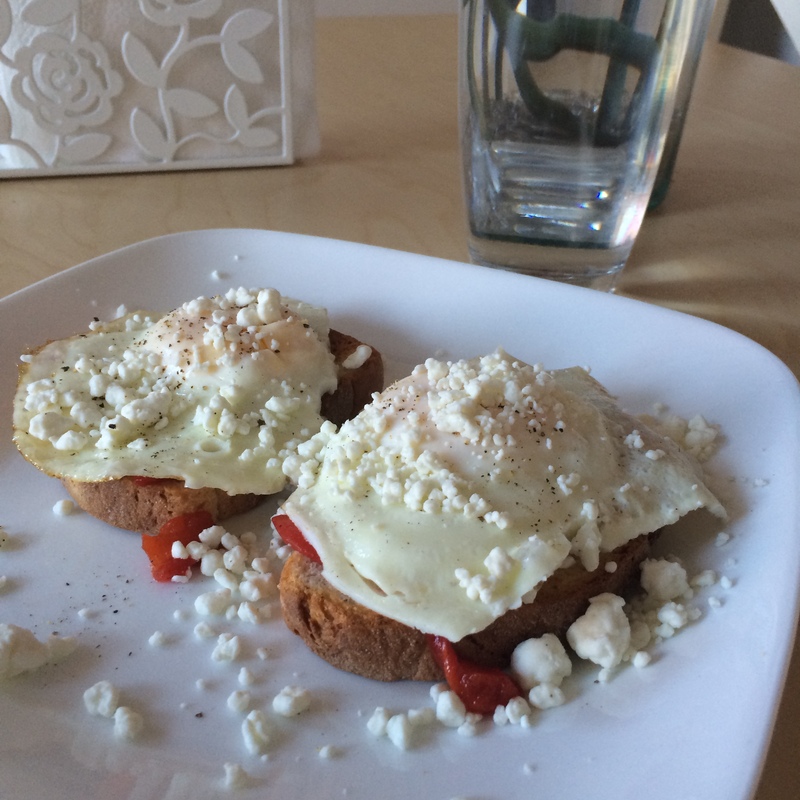 I made this open-faced gluten free delight this morning and I have no doubt that it will leave you salivating. This gorgeous GF breakfast is easy to assemble, but one element can leave people baffled: the tricky sunny side up egg. How can you make a perfect sunny side up egg? Here’s how I make mine! 1) Leave your skillet over medium heat for a few minutes, then add the oil of your preference (I usually use olive oil or coconut). 2) Crack two eggs and let sit for 2-3 minutes until the translucent egg white gains color. 3) Cover eggs with lid and reduce heat. Let steam.